His “Sherlockian” deductions are elementary to him but may range from semi-plausible to completely preposterous in the eyes of your average viewer. Dr. Henry Morgan (Ioan Gruffudd) has been at this a long time, though, as he takes pains to relate during a lengthy narrative near the start of ABC’s Forever. Two hundred years ago he was shot and thrown overboard after trying to save a slave from a similar fate. But lo and behold -- or something like that -- Henry lived to breathe again. “I always return in water. And I’m always naked,” he explains. Henry dies three more times in just the opening hour of Forever. He first perishes during a subway crash after meeting a comely blonde and immediately deducing where she’s from, what she’ll be doing that night, etc. “You see a lot,” she says. “Well, I’ve seen a lot,” he confides. They arrange to have a drink before, crash-boom, everyone on the subway car is down for the count. Henry then bursts through another of his watery would-be graves and is arrested for indecent exposure. But he’s soon out and about again, with his trusty old friend, Abe (Judd Hirsch), picking him up in a New York minute. Abe deals in both antiques and sermonettes. He has a long history with Henry that dates back to World War II. It allows him to lay it on a little thick after Henry again is bedeviled by Forever’s mysterious Moriarty, who calls him by phone and says he knows all of his secrets. Well, dash it all then. Let’s stand and fight, solve crimes and banter with suspicious detective Jo Martinez (Alana De La Garza), who increasingly appreciates Henry’s ability to instantly figure out who did what to whom and why. OK, I made that up. But really, some of these deductions are really a stretch. Too much of Forever is either overwrought or half-baked. But Gruffudd is mighty handsome as Henry. Jaunty, too. So the series is well-equipped from that standpoint. 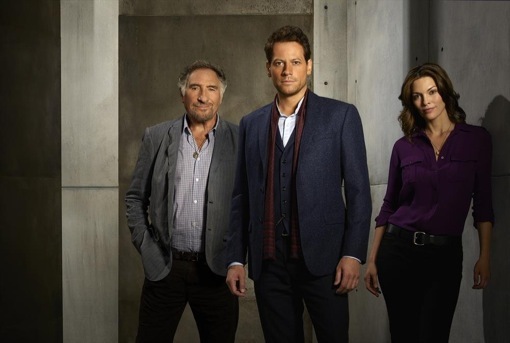 Viewers otherwise may have been over-exposed to the immortal/flashback basics of Forever. Except that Henry doesn’t seem to be a vampire or any sort of otherworldly creature. He’s just a guy who lives and lets die without yet knowing why. For now, rinse him in the Hudson River and repeat.